Microsoft's mobile Outlook app for iOS and Android is a really great email experience. It serves as a centralized place to aggregate your email accounts and calendar entries. The problem? 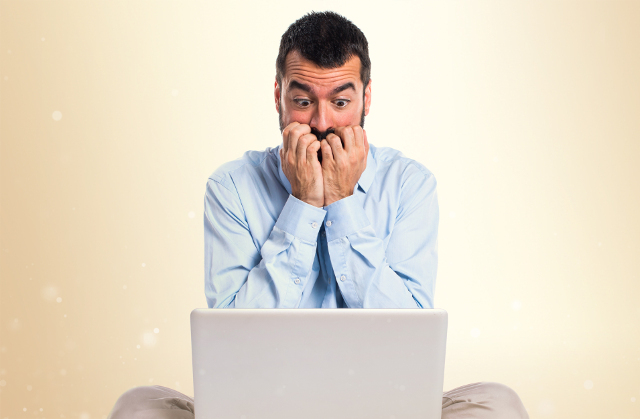 It is a privacy nightmare. It stores your emails on Microsoft's servers, even when the email provider isn't Microsoft, such as Gmail or Yahoo. In other words, users must trade their privacy for convenience -- a bad deal if you ask me. Today, Microsoft announces a new Gmail experience for Windows 10. While only available for Windows Insiders as of today, it uses the same concept as the Outlook mobile app, but for the Mail & Calendar apps. Microsoft will provide you with an arguably improved experience as long as you are OK with storing all of your Gmail messages in Microsoft's cloud -- yikes. What types of features will the new experience offer? Things such as tracking packages, getting updated on your favorite sports teams, and a focused inbox. "Mail & Calendar apps have long supported connecting to and managing your Gmail account. But up until now, some capabilities were only available to those with an Outlook.com or Office 365 email address. With these updates, our latest features will be available for your Gmail account, including Focused Inbox and richer experiences for travel reservations and package deliveries," says Vivek Kumar, Product Marketing Manager, Windows 10 Mail & Calendar apps. 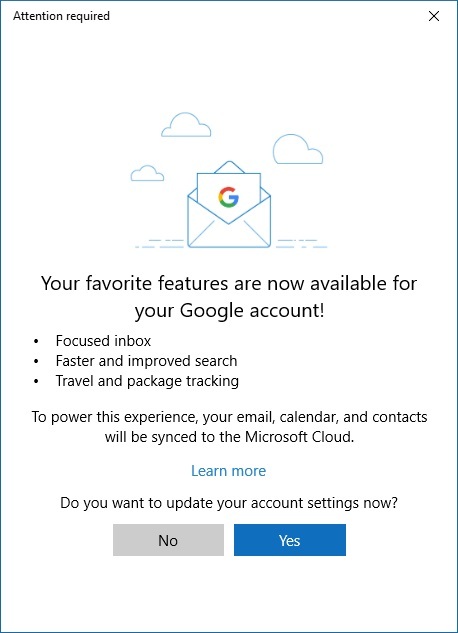 Kumar also says, "To power these new features, we'll ask your permission to sync a copy of your email, calendar and contacts to the Microsoft Cloud. This will allow new features to light up, and changes to update back and forth with Gmail–such as creation, edit or deletion of emails, calendar events and contacts. But your experience in Gmail.com or apps from Google will not change in any way." Luckily, this new functionality is opt-in, but the question remains -- why does the Windows-maker want to store your private email and calendar information on its servers? True, it could just be for honest reasons, but why take the risk? Even if Microsoft has good intentions, if its servers get hacked, or infiltrated by a government agency, your private life could be exposed. Are you willing to store your Gmail account content on Microsoft's servers for an arguably improved experience? Sound off in the comments below.